CF Yogi is officially a nonprofit! We’re happy to announce that we’ve cleared a big hurdle on our startup path – we now are an official nonprofit project, and able to accept tax-deductible donations! We are a fiscally-sponsored project of Social Good Fund, a nonprofit organization that incubates new, innovative charitable programs like ours. Fiscal sponsorship is an alternative nonprofit formation path, that makes much more sense for us as a new organization than jumping straight into managing our own 501(c)(3) organization. 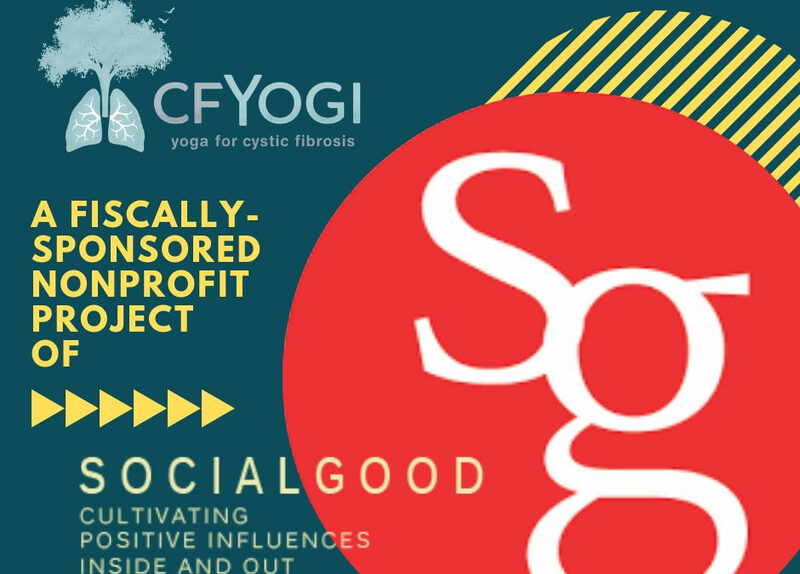 Under our legally-recognized Model A agreement between the parent organization (Social Good Fund) and startup project (CF Yogi), the project exists under the legal umbrella of the sponsoring organization. This enables us to focus on building the program in their early stages, while opening the door for the organization to raise funds and plan for future growth. Why not form your own nonprofit organization? – The nature of a program may be limited in duration (e.g. for a specific period of time, such as determined by an awarded grant). – The program is new and needs to demonstrate community need, interest, and viability of long-term success. – The program must be up and running in a short period of time, and the organizers must focus on the program rather than creating and managing an independent nonprofit organization. We did exhaustive research over the summer on nonprofit incorporation, and many knowledgeable resources suggested fiscal sponsorship as an alternative path to 501c3 formation. We consulted with our advisory committee, who unanimously agreed that fiscal sponsorship was the most viable path to 501c3 status in these early stages, for the three reasons stated above. Why is Social Good Fund your fiscal sponsor? While approaching fiscal sponsors, the most critical factor is alignment of mission. Social Good’s mission aligns very closely with our own, and they seek to incubate innovative projects like ours that need the legal and organizational structure of a larger organization in order to hit the ground running. How can I make a tax-deductible donation to CF Yogi? For the moment, you can head over to our fundraising campaign on Facebook and make your donation there. Plus, soon you’ll be able to make online donations here on our own website. I’d love to support CF Yogi, but funds are tight. Is there another way I can help?